With the pro version of RML Instagram you will be able to access an unlimited amount of pictures from you favorites Instagram accounts. 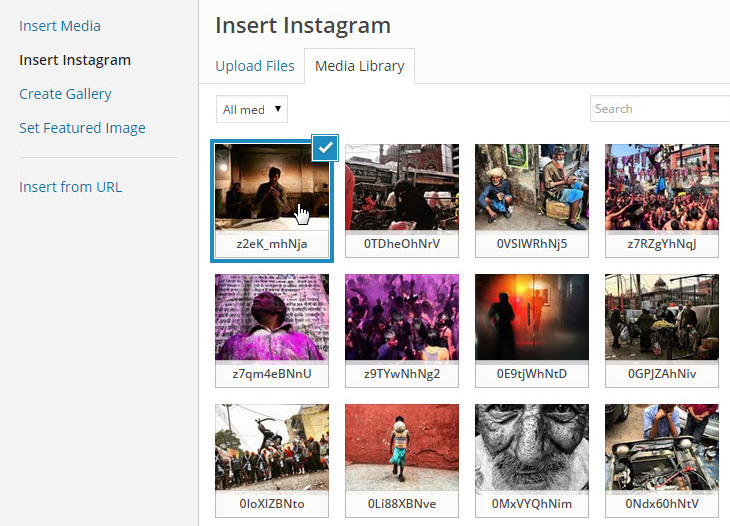 Simply connect the Instagram account using the username and a new tab will show within the WordPress Media library letting you search and insert Instagram picture in your pages and posts. Connect your Instagram account right in the WordPress media library. Easily insert Instagram images to any WordPress post or page. Search within the whole Instagram account with the default WordPress media search. Support of multiple image sizes while inserting into your posts. Support unlimited number of images as you scroll in the library. How to get RML Instagram Pro plugin? RML Instagram Pro is not yet released, but it will be soon! Please enter your email address and be the first to get notified when the public release is available.